Having just finished their sell-out hit shows Midnight Tango and Dance ‘Til Dawn, Strictly Come Dancing stars, Flavia Cacace and Vincent Simone, are quite literally dancing their last dance in the aptly-named show, The Last Tango arguably the best in the trio of performances. As soon as the music started, there was romance, drama and delight as the pair whizzed around the stage. The audience were completely captivated by their high-energy performance from the first song to the last dance move! 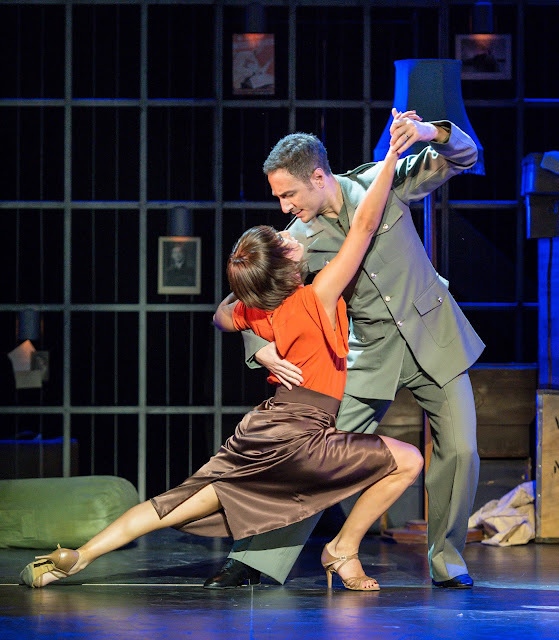 Although Flavia and Vincent's speciality is the Argentine Tango there were plenty of other dance routines to keep the audience happy. There was an excellent of choice of music and singing from Perry Como to our favourite Van Morrison songs. The stage set was particularly enchanting depicting a man looking back over his life as memories are triggered from memorabilia found in the loft. At points, the intimate performance was quite moving too – they really brought emotion and passion into their performance to the song Autumn Leaves. A real highlight of the show. The Argentine Tango champions finished with the most wonderful finale and got so much praise from the audience and a much deserved standing ovation. Directed by Olivier award winning director and choreographer Karen Bruce, this feel –good performance really did showcase their best work and isn’t one to miss. The show continues till Saturday 28th November. Tickets still available from the box office. Injustice, hope and friendship - Shawshank Redemption at MK Theatre. This new stage production is inspired by the classic film, The Shawshank Redemption; also based on the short novel by Stephen King. Those who haven't seen the film may enjoy the play equally well. Adapted by Owen O’Neill and Dave Johns, and directed by David Esbjornson, this production should definitely be on your ‘must-see’ list! Full of desperation, injustice, hope and friendships, this performance had the audience on the very edge of their seats. The two leading actors, Ian Kelsey and Patrick Robinson, play characters Andy Dufresne and Ellis ‘Red’ Reading who find each other in the most unlikely of circumstances. The strongest performance was certainly by Patrick Robinson. The audience are taken behind the bars of a maximum-security facility, created brilliantly by the set-designers; it certainly captures the claustrophobic atmosphere of an American prison. Also make sure you are prepared for some powerful scenes of a graphic nature that has the audience gripped. 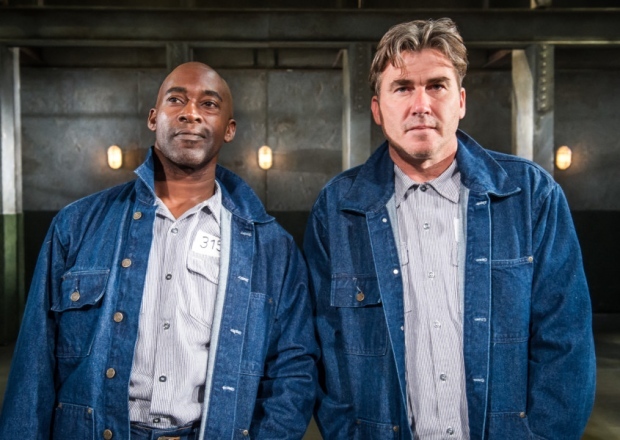 Shawshank Redemption is on at MK Theatre until 21st November. 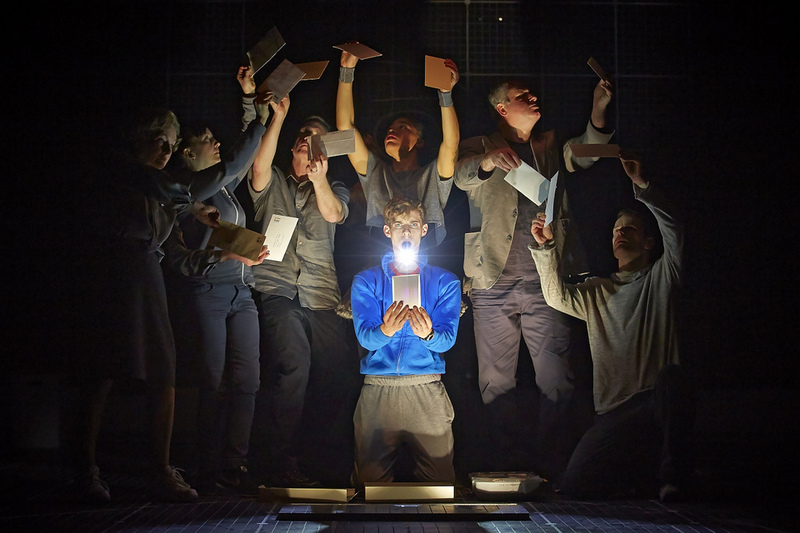 From Tuesday 3rd to Saturday 7th November 2015, the highly acclaimed National Theatre production, The Curious Incident of the Dog in the Night-Time, is being performed at Milton Keynes Theatre. Having been performed in the West End and on the proud receiving end of seven Olivier Awards, the ingenious production is currently on its first nationwide tour. Based on Mark Haddon’s award-winning novel, the show - adapted by Simon Stephens and directed by Marianne Elliot – had some absolutely amazing reactions from the audience. From the moment the boy appears on stage with a dead dog at his feet, the audience knew they were in for a fantastic performance. Joshua Jenkins in the title role as Christopher, was very believable and the audience were so engrossed in his performance. With very little props and set, it was all centred on Christopher who is autistic, how he sees the world and his experiences, leaving most of the other details, such as the setting, to the audience’s imagination. It`s a very physical drama with amazing lighting effects to tell the story. The play is partly narrated so that we are seeing the world through the eyes of Christopher which brings with it great humour amid the intensity of the drama. Visit the Curious Incident website for more information about this thrilling performance at Milton Keynes Theatre: www.curiousonstage.com. Some tickets still available from the box office. This is a play you don`t want to miss!